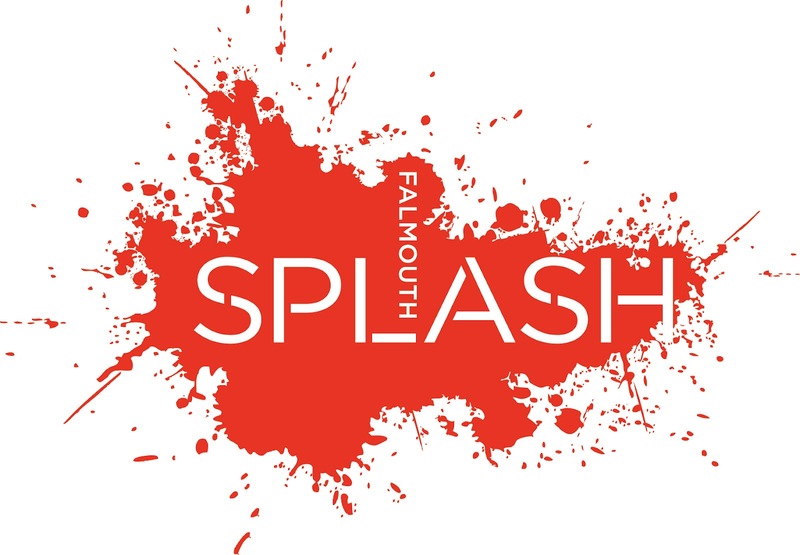 Love Falmouth : SPLASH - THE NEW FESTIVAL OF THE YEAR! SPLASH - THE NEW FESTIVAL OF THE YEAR! The vibrant maritime town of Falmouth announces a world class line-up for SPLASH, the brand new arts festival taking place on 7-16 September 2012. The town will play host to many artists and writers, including the award-winning author of War Horse and former children's laureate Michael Morpurgo and renowned illustrator and author Michael Foreman. The Edinburgh Fringe award-winning play Allotment and artist and sculptor David Kemp will be among the highlights of Cornwall’s creative event of the year. Funded and organised by the Falmouth Business Improvement District (BID), this innovative festival will unite Falmouth’s creative community through such diverse events as a Book Fest, light and sound installations, living heritage walks, contemporary dance, theatre and award-winning fringe plays. The first weekend of SPLASH kicks off with one of the week’s highlights. For three days, award-winning authors and illustrators will be headlining SPLASH Book Fest. Join bestselling novelists including Katie Fforde for a Girls’ Night In with a difference, discover practical tips on getting your own book published from people who know, and much more. The Book Fest is a must-attend for all book-lovers. Many of the events are free, in the spirit of celebrating artistic diversity in one of the leading creative and design hubs in the South West. Falmouth’s rich artistic heritage showcases itself through the multiple local design, interior and image agencies, who plan to open their doors as part of ‘Open Design Week’ for the public to access the creative heart of business Cornwall. TRAIL will see six of the South West’s finest artists commissioned to create light, sound and art installations throughout the town for people to follow and find. TRAIL will be accompanied by an engaging free programme of talks and tours, workshops and making activities for all ages. Falmouth Art Gallery, recognised as one of the leading small art galleries in the country, hosts a major touring exhibition from Southampton City Art Gallery of British Surrealists showing how a range of artists have responded to surrealist ideas on dreams and the unconscious. And running alongside, David Kemp’s ‘Plastic Botany’ presents surrealist-inspired giant plastic sculptures. In Focus, a collaboration between Cornwall Hospice Care, renowned wildlife and landscape photographer David Chapman and a number of retail outlets in the town will put a new twist on window shopping, while pop-up art exhibitions at Pizza Express and Courtyard Deli will be the topic of table conversations. Girls’ Night In, Fri 7 Sept, 7pm: Dolly’s Wine Bar hosts an author and wine evening with award winning authors Katie Fforde, Emily Barr, Judy Astley and Liz Fenwick. Tickets with a glass of wine are £5 which is redeemable against a book. Dog Tales, Sat 8 Sept, 11am: The Poly welcomes the winning six auditioned dogs, their owners and six illustrators for a creative hour producing a pooch story and illustrated front cover. The event is free. My Cornish Tales, Sat 8 Sept, 2.30pm: World famous illustrator and author Michael Foreman talks at The Poly, about his Cornish works including Mermaid of Zennor and Dolphin Boy. So you want to be an author? Sun 9 Sept, 11am: Join a national literary agent and two successful published authors at The Poly for an hour question and answer session. For those wishing to make it as a writer, this is a must! War Horse and other things, Sun 9 Sept, 2pm: Michael Morpurgo will talk at The Poly, about Private Peaceful, his new biography recently made into a feature film, War Horse as well as his life in writing. Shallal: Friday 7 September, 7-8pm: The acclaimed dance company presents a free evening of poetry and dance. British Surrealists: Monday 10 September to 17 November, 10am-5pm: This free major touring exhibition from Southampton City Art Gallery of surrealist art shows how a range of artists have responded to surrealist ideas on dreams and the unconscious. Plastic Botany: Monday 10 September to 17 November, 10am-5pm: Artist David Kemp presents his surrealist-inspired giant plastic sculptures. Big Draw: SPLASH will be transforming a 40m section of fence into an outdoor art space and exhibition. Allotment: Follows the complex and quirky relationship between sisters Dora and Maddy as they live out the seasons on their allotment. Edinburgh Fringe Festival, Fringe First winner 2011. Living Heritage Walks: The Scary Little Girls delight with their quirky and irreverent tales and stories on Falmouth’s maritime and literary history. Falmouth Plays the Blues: A series of live performances across Falmouth’s pubs throughout the week celebrating the unique Cornish music scene. Find out Falmouth news,views,stories, forthcoming events, ideas, exhibitions and more via Falmouth's official blogsite.